Earlier this week, Samsung rolled out the Android Marshmallow update for the Galaxy Note 5 phablet. Now the company has started rolling out the same update for the Galaxy S6 edge+ as well. The Galaxy S6 and Galaxy S6 edge already received the Android Marshmallow update in the country last week. The change-log of the Android M update for the Galaxy S6 edge+ is not available at the moment. 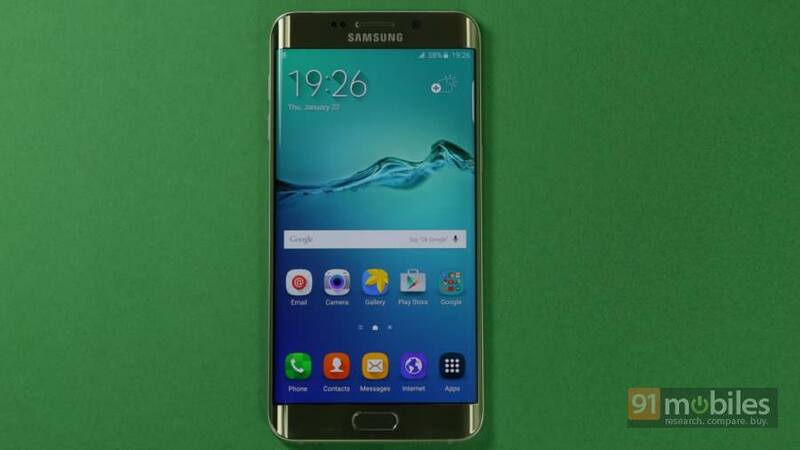 However, we can expect the update to bring the same features as the Galaxy S6 and Galaxy S6 edge’s update. The Galaxy S6 edge’s update brought an enhanced edge screen with new features, the ability to widen the edge panel from 260 pixels to 550 pixels, a Quick Tools panel, and a more customisable Edge handle. The update also brought a Task edge panel, which provides shortcuts to most used app features and tasks. According to user reports, the Marshmallow update for the Galaxy S6 edge+ is about 1.3GB in size, and is being rolled out over the air. The company is yet to officially announce the rollout of the update in India.